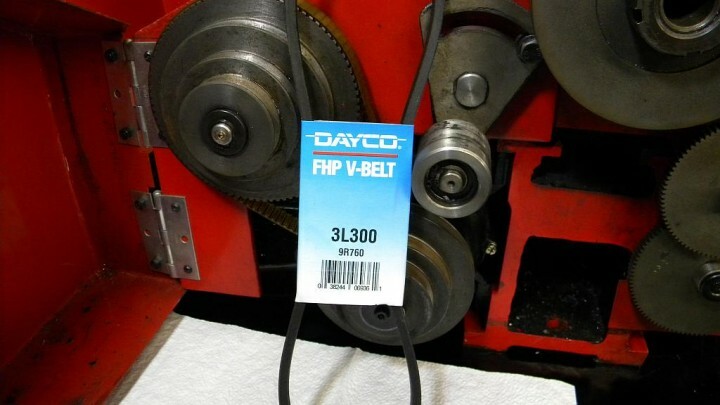 Changing the spindle speed of your Harbor Freight 8×12 or Lathemaster 8×14 lathe will probably be easier if you replace the factory belt with a size 3L300, which you can buy at most auto parts stores for about $5. The original is so tight that changing the spindle speed by moving it to a different set of pulleys can be an unpleasant chore. Richard on the Lathemaster Yahoo discussion group discovered that the 3L300 is just a little bit bigger and it makes speed changes much easier. I tried one, along with others members of the group, and we found that he was right.